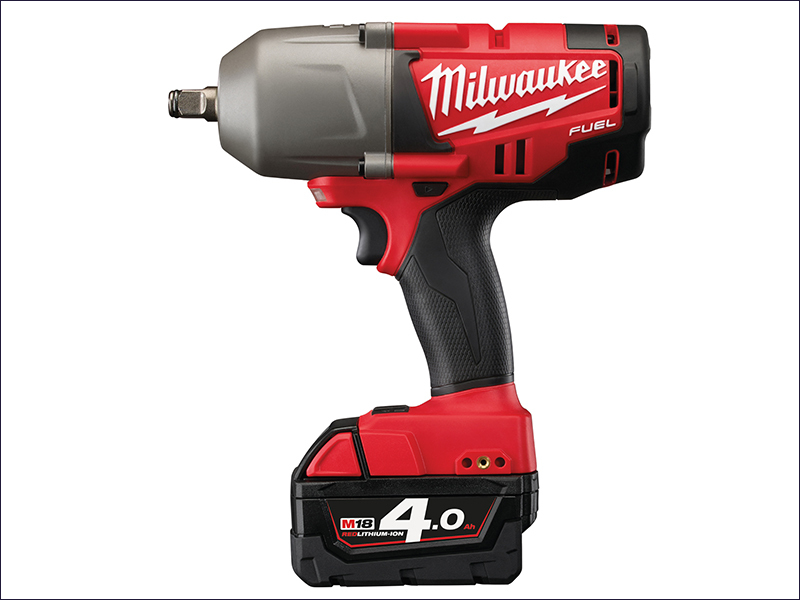 The Milwaukee M18 FUEL™ CHIW-402C is a high torque impact wrench delivering superior performance with up to 1016Nm Max fastening torque and up to 1626Nm nut-busting torque. A brushless POWERSTATE™ motor provides increased life and up to 20% more power. REDLITHIUM-ION™ batteries deliver two times more run time, up to 20% more power, and two times more battery life. The battery also operates better at -20°C, than any other lithium-ion batteries. Individual cell monitoring optimises tool run time ensuring ;long term durability. Also fitted with an on board fuel gauge, LED light, and an all metal reversible belt clip. Comes with 2 x 18v 4.0Ah REDLITHIUM-ION™ Batteries, a Charger and a Kitbox. Bit Holder: 3/4in Square Friction Ring. Max Nut Busting Torque: 1626Nm.